You don’t want your kids to get hurt by the garage door. Continue reading these tips to childproof your garage. Our experts in garage door repair Galveston strongly discourage going in or out the opening of a moving garage door, whether it is opening or closing. This is very dangerous and most of the accidents involving garage doors take place while it is moving. Make sure it has completely stopped before going in or out. Garage doors are dangerous while they are moving. They are usually heavy and can exert a considerable amount of force. 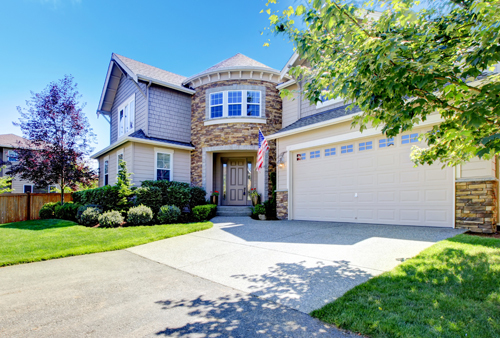 Most accidents involving garage doors take place while they are moving. It is best to simply wait for it to stop since it does not take that long anyway. The weather stripping around the edges of your garage door frame should be cleaned regularly with vinyl cleaner specially formulated to not cause damage and to help it stay flexible. A silicone lubricant spray will also insure it stays pliable and in colder climates it will keep the bottom seal from sticking to snow and ice.